Father Irenaeus Herscher was born Joseph Herscher in Guebwiller, Alsace-Lorraine, France, on March 11, 1902. In 1913, his family moved from France to the United States. As a boy, Herscher was educated in the Camden, New Jersey school system. For a short time after high school, Herscher worked in a New York City shipyard. 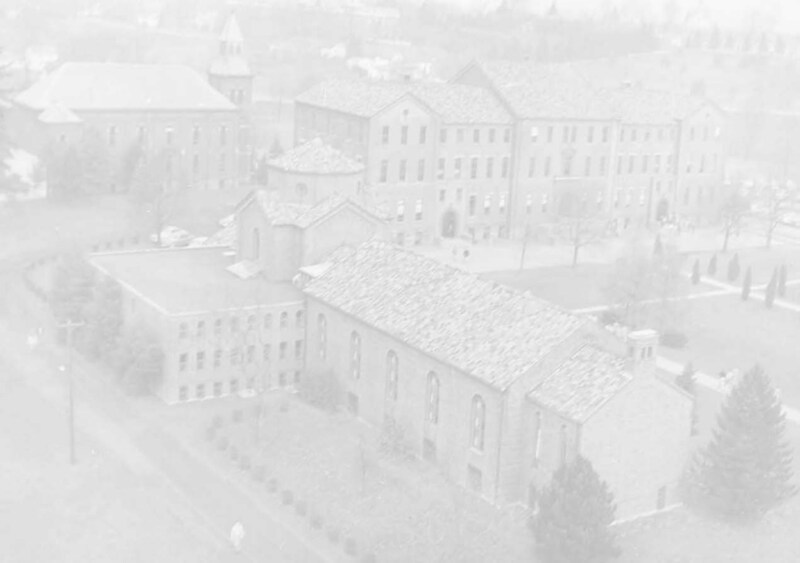 In 1920, Joseph Herscher began his work toward becoming a Franciscan. He attended seminary at Callicoon, and was received into the Order in Paterson, NJ in 1924. At this time, he was given the name Irenaeus, which is Greek for "peaceful." Irenaeus made his Simple Profession of Vows in 1925, and his Solemn Profession of Vows in 1928. In 1929, Herscher earned a Bachelor of Arts Degree from St. Bonaventure College, and his M.A. from St. Bonaventure in 1930. By 1931, Father Irenaeus Herscher was ordained into the priesthood. With the advice and help of Father Thomas Plassmann, Irenaeus attended Library School at Columbia University, and earned a Master's Degree in Library Science. After graduating from Columbia, Father Irenaeus returned to St. Bonaventure to work in the library, again through the help of Father Plassmann. Although Father Irenaeus Herscher was not directly a benefactor for St. Bonaventure’s Friedsam Memorial Library, his work there was still incredibly important. As director of the library, he was responsible for securing many important gifts. 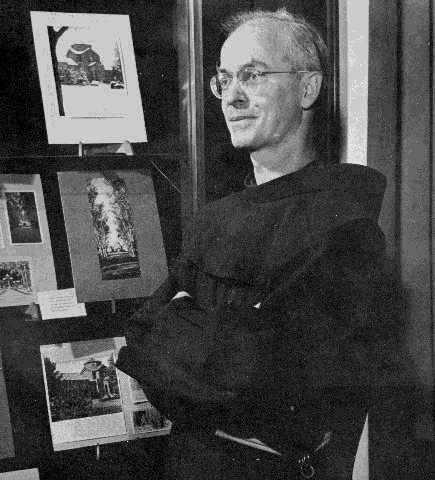 His career as a librarian began working at St. Bonaventure in 1934 as the assistant to Father Albert O’Brien. After Father Albert’s death, Father Irenaeus became director of St. Bonaventure’s library, as well as St. Bonaventure's archivist. He was the first director of the Friedsam Memorial Library, and held this position from 1937 until 1970 when he retired, and served as Librarian Emeritus from 1970 until his death in 1981. Father Irenaeus is often remembered for displaying many of the library’s rare items for people to see during one of his many tours through the library. 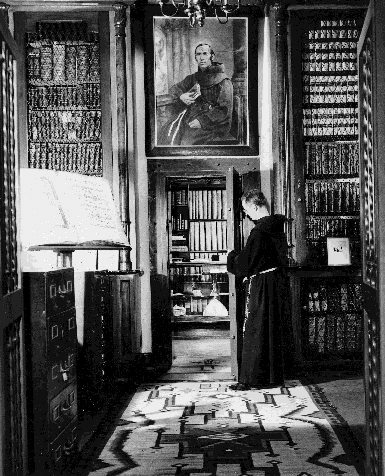 He had a special interest in the library’s rare book collection, as well as the art collection and original manuscripts, and often tried to promote or publicize something when he felt it was “the oldest,” “the smallest,” or the “first", particularly Franciscan Firsts. Father Irenaeus loved Friedsam Memorial Library, and worked hard to improve it, and increase the interest and devotion of others to it. 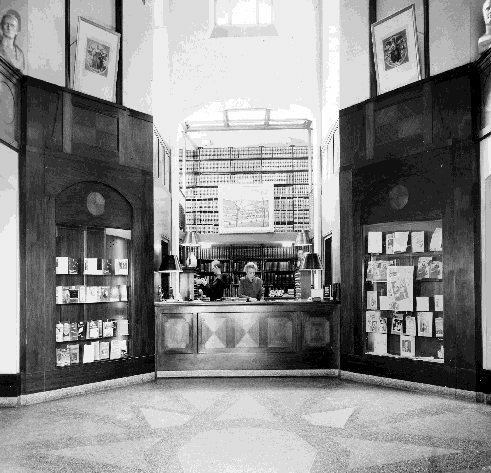 His devotion to the library, and his dedicated promotion, allowed him to secure numerous benefactions. Oftentimes, he had a personal relationship with the benefactors. St. Bonaventure’s University archives are filled with letters from men like T.E. Hanley, Samuel Lasser, Hugh Grant, and Joe Kotcka, addressed to Father Irenaeus, and vice versa. Many of these letters do not even mention donations, and are just to say hello, or to talk about the weather, the news, health, or something of a similar matter, demonstrating Father Irenaeus' personal interaction with each of these people. He had more in mind than just securing gifts for the library. Father Irenaeus at the circulation desk, and in the vault.